To commemorate and help promote the new Lost Landmarks image gallery, “Across the Creek” introduces a new series of posts. Enjoy a snapshot of old Lincoln Park, Denver. UPDATED to include some interior views. 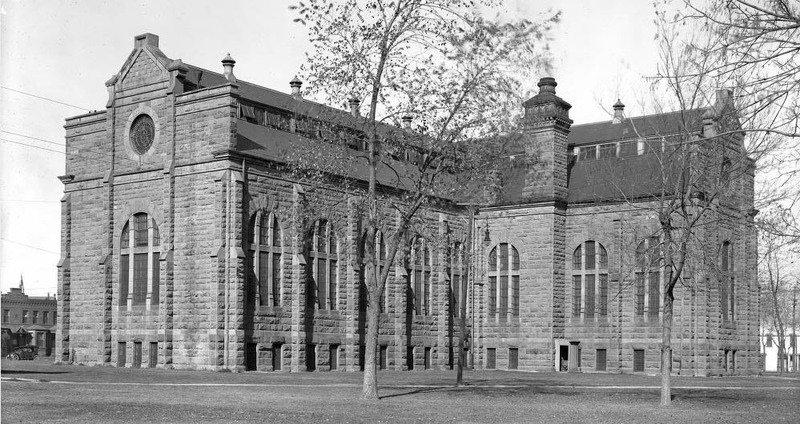 While this impressive structure could be mistaken for a Cathedral, the multi-story rock ashlar building actually did house many of Denver’s sinners as the County Jail from 1891 to 1956. 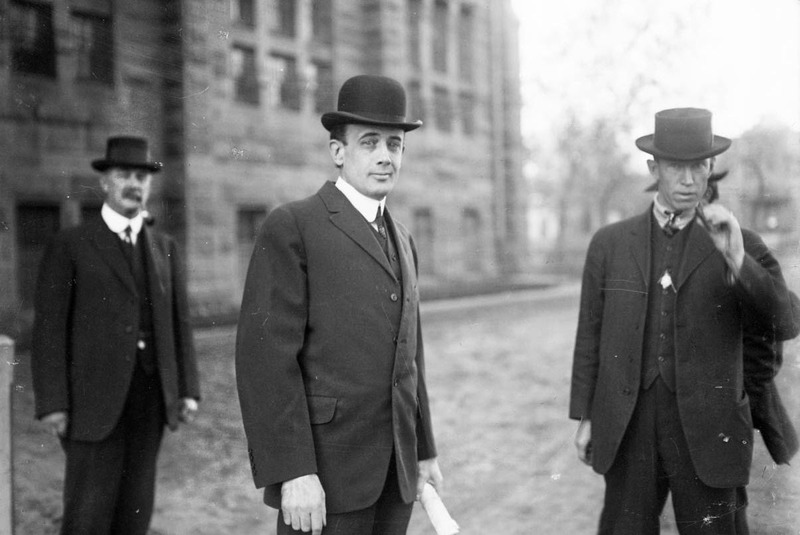 Supposedly, A C Hunt had donated the parcel of land to the City with hope of seeing the Capitol building erected and thereby improving his own holdings, but Brown, Evans and the citizens of Denver made other plans. It was razed in 1963, making way for a street realignment and the Courthouse Square Apartments we see today. Bonus: since it was a prominent landmark, we have multiple images of this one! 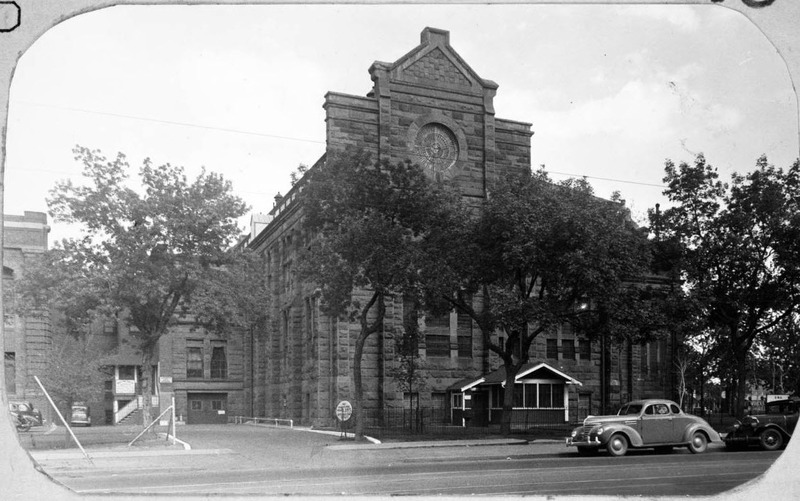 This image was taken from the SE corner, from the old Santa Fe Drive alignment and 14th. 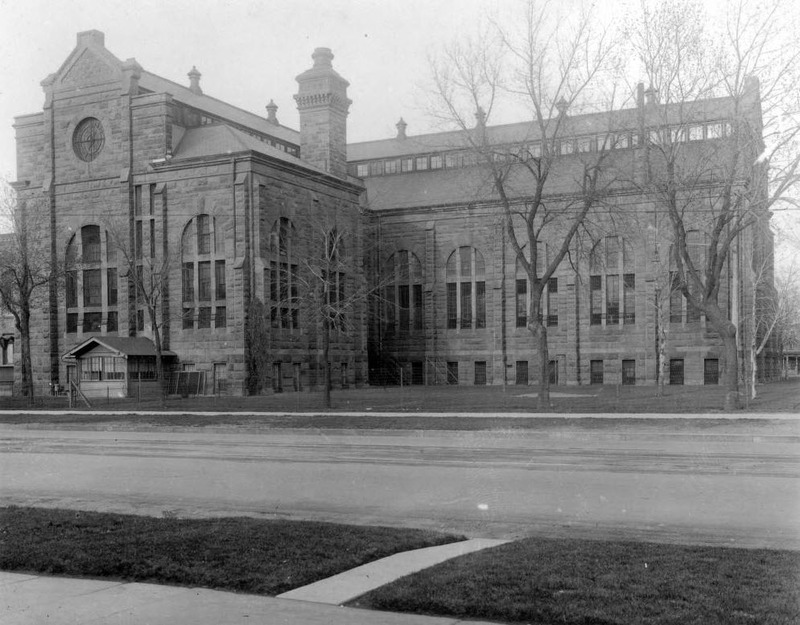 From across Kalamath, near 14th Ave.
Also from across Kalamath, showing the Colfax side connected to the courthouse building still standing today. From Colfax and Speer. While the Judicial building has been preserved, the image below also shows the context of the larger jail structure behind it. For some added human interest, we have a final shot of the defendant from the Brown Palace Murder trial with the jail as dramatic backdrop. Visit the larger Lost Landmarks gallery to see a fuller timeline of the La Alma-Lincoln Park neighborhood, including some maps and aerial images showing the jail building. Click on thumbnails below to enter Denver County Jail image carousel. Thanks for posting these. 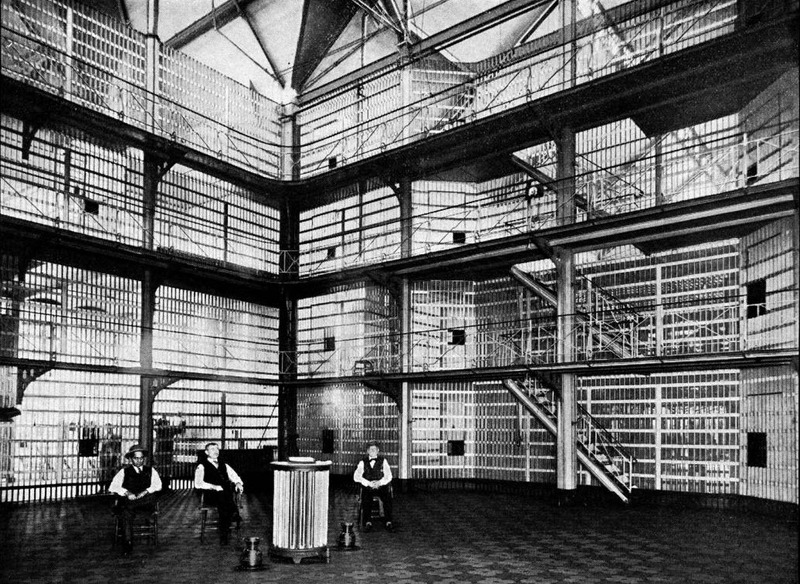 The 1891 jail house was designed by Denver architect Frederick C. Eberley, and was originally conceived with a new Criminal Court House attached to it. 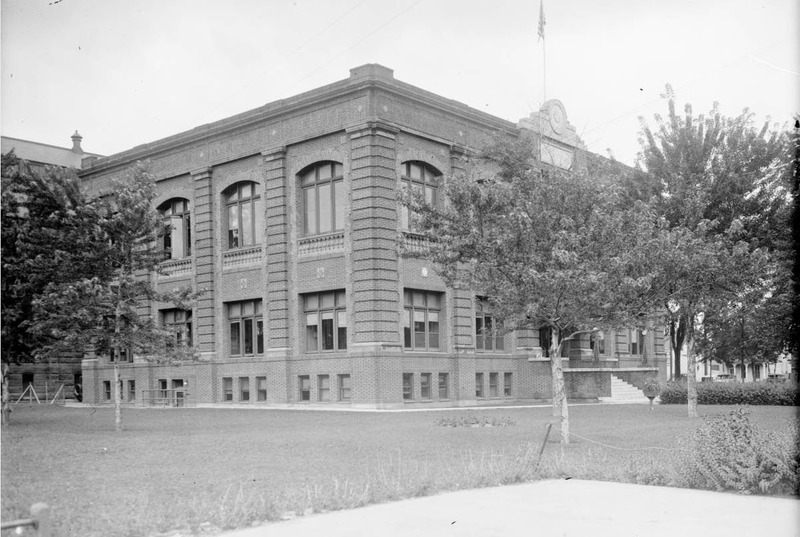 That court house was never built, though an additional story was added to the Arapahoe County Courthouse downtown (also designed by Eberley) and was completed in 1893.